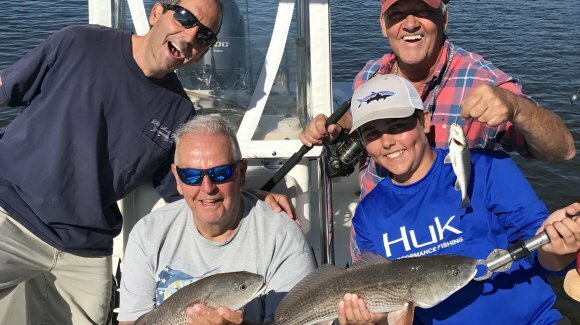 Inshore: Captain Patrick “Smiley” Kelly (843-361-7445) reports that even with water clarity low fishing has been strong. 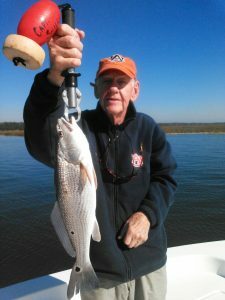 Good numbers of slot-sized redfish have been caught on Gulp! baits as well as shrimp, and trout are also eating live shrimp as well as DOA and Vudu shrimp. Black drum are being caught on shrimp fished around structure, and flounder are making up a healthy bycatch for anglers fishing a variety of live baits. Nearshore: Bull red drum are in the process of moving on but there have been good numbers of king mackerel caught slow-trolling menhaden. Cherry Grove Pier (843-249-1625) reports that bluefish, some whiting and some spots have been caught off the pier. A few small pompano have also been brought to the deck. With the full pier back online they have seen some kings breaking the water but have yet to land one. Some bull red drum have been caught in the evenings.